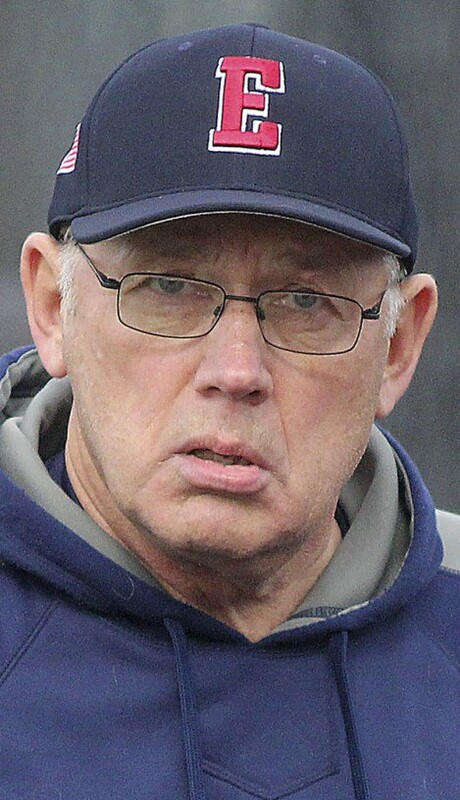 WILLIMANTIC, Conn. — Bill Holowaty, one of the most successful coaches in NCAA Division III history, was forced out of his job in late April after serving Eastern Connecticut State for the past 45 years. The Hall of Fame skipper led the Warriors to four national championships as he stepped down with an overall record of 1,404-525-7. Holowaty posted the most victories of any coach in any sport in New England collegiate history. According to The Hartford Courant, five charges of misconduct were leveled against Holowaty by Eastern Connecticut St. administrators, and he was suspended for three weeks starting in late April and was eligible to return to his job May 13. The charges included complaints of alleged public cursing and abusive language, failure to comply with directives from his supervisor in a timely manner, failure to follow financial procedures as articulated in the department manual, failure to comply with a Feb. 7 agreement that dealt with proper documentation of department funds and throwing a helmet into the bleachers after a recent game. After careful consideration, the 68-year-old decided to retire instead of fight the administration over these charges “even though they were trumped up to get rid of me,” said Holowaty. The legendary skipper, who is contemplating a lawsuit against the school, said his problems began when Jeff Konin was hired in July of 2012 as the school’s athletics’ director. “What was done was evil and sinful,” said Holowaty in an extensive interview with Collegiate Baseball. “It all started when a new athletics director was brought in (Jeff Konin), and we didn’t start off too well. A whole bunch of situations happened with different sports, and he came in right in the middle of it. During an August meeting, I said to him, and I probably shouldn’t have said it, that one of the problems in our department is that everybody is afraid to say something to you because they have no tenure and can be removed very easily. I am the only person with tenure, and that is why I have been the spokesman for all our coaches. “The next day, he comes into my office and tells me that your tenure will not protect you from me. It was a direct threat. From that day on, it has been hell on wheels, and there has been a constantly choreographed plan to go after me. He got the school president (Elsa Nunez) to change her opinion toward me, and it went down hill from there. “As an example, I was only given 17 days to raise $32,000 for our 2013 spring trip to Florida. And I raised about $26,000 during that short period of time. I was then told that since the total amount was not raised that we couldn’t go on our spring trip. Over the 45 years I had been at Eastern Connecticut State, which included 15 years as the athletics director, I had raised approximately $3 million during that time, if not more. So raising a few thousand dollars more for the spring trip was not going to be a problem. Holowaty said what concerned him a great deal was confidential information about him being leaked to the media. “Elsa Nunez (President of Eastern Connecticut St.) allowed confidential information to be distributed to the media illegally. And then she made the comment, ‘We thought we had him before, but the witnesses did not come through. Now we have all the witnesses we need to terminate his employment. This was said to the papers while the investigation was going. It was handled totally improperly. “Our president was also quoted as saying, ‘There had been other allegations through the years. And every time we got close to where termination was possible, a witness would not come forward. “This whole thing was well orchestrated. It was me versus the administration. I wasn’t aware of what they were doing. It was a witch hunt that got out of hand. I approached the administration a week before resigning and told them that what was going on is totally wrong for me and the university. “Let’s stop and reevaluate the whole situation and go forward with logic. One of the Vice Presidents called me and said this was not about my job. A few days later, this individual told me that he was wrong. Things have changed. Holowaty, who also served as the athletics’ director at Eastern Connecticut State for 15 years (1974-1988) during his career, carried the torch for other coaches at the school. “What bothers me is that I built the athletics program at Eastern Connecticut State. When I became the AD here, we had no women’s sports. Now we have more women’s sports than men’s sports. We had no outdoor facilities for our women. And these were all things we accomplished during my 15 years as athletics’ director. “I ultimately was asked to choose between being a full time AD or baseball coach in 1988. I choose to be the full time baseball coach and stop being the AD. After last season, his assistant coach for 36 seasons, Bob Wojick, was let go. “I told him that it was time to part because we just were not good for each other. He couldn’t stop talking about me behind my back to anybody who would listen on campus for a period of time. He was always questioning my decisions. I have been told that when he talked to administrators, he said ‘Holowaty is not the same’ and this and that. I gave him a year to change his ways because we had been together for so many years. I owed him that. But he didn’t change. So a year ago in May or June, I told him that we had to part. I told him that he did a hell of a job for many years. But I just couldn’t put up with it any more. “I was told by a vice president that the talk behind my back by Bob was going on for the previous 3-4 years. When he left my office that day, he said, ‘You will never hear the end of this. Since then, I have had 3-4 hearings by the university for me being accused of stealing money or me doing this or that with the source being him. Holowaty said that another situation came up involving his son Jared. “I knew after the 2012 season, I was going to retire in one or two years. And I thought it would be great to have my son Jared with me as an assistant coach to finish off a great career. He would not be paid a cent and would be a volunteer. He previously was a volunteer for our program during the 2003 or 2004 season. Then he left to coach at College of New Jersey, the University of Maine and Whitman College. “He resigned at Whitman (located in Washington) because was not happy being so far from home and wanted to come back and help me out on the basis that Bob Wojick would still be here. Jared would not take anybody’s position and would simply volunteer his time and help me out. “I was happy as heck that I had the chance to finish my career with my son next to me. We went through the entire summer of 2012 with no answer from the president of the university if this was going to be allowed. Then in August, I wrote a letter asking for an answer. And she (Elsa Nunez) wrote back that I had a hard time handling volunteer workers at the university, and she wouldn’t allow this to happen. The problems Holowaty had with his president and AD didn’t stop there. “Since the school year started, I have been accused of causing social media problems. Being an older guy, I had no idea what social media meant. And the AD called me a liar. “Then I handed in my budget the same way I have done for the prior 44 years. It was hand written in ink. But it wasn’t done to the AD’s specifications. He wanted it typed. In the 45 years Holowaty had been at Eastern Connecticut State, no AD had ever put up a road block to a spring trip as Konin was alleged to have done. “I had a survey given to NCAA Division III schools at the 2013 American Baseball Coaches Association Convention, and not one Division III school had their money raised before the spring semester started. In our league, the earliest a team had all their money in was Feb. 1. The latest was the middle of March. And one school didn’t have a deadline. Holowaty said that he then had to scramble to complete his 2013 schedule with a chunk of games now being played in freezing weather instead of the sunny weather of Florida. Holowaty was asked if any of his players suffered injuries because of the cold weather. Holowaty explained another situation that cropped up during the season. “One of our ball players was arrested for DUI on a Thursday evening. Friday morning, he called me to tell me about the situation. I suspended him indefinitely and took away his honor of being a captain. And he did not dress with his teammates for games the whole weekend. “Then I told him that I would see the athletics’ director on Monday. And we would talk and then make a decision. So I saw our AD that Monday morning and had a game that afternoon against Wesleyan. I told our AD that our player would do this and that. I said that he should be let back on the team. However, he would not start today but would dress. “We travel to Wesleyan. I had to keep 3-4 kids at home because they had class. Another 3-4 kids were at home because there was a JV game there. So we traveled with a skeleton crew. Our shortstop in pre-game stepped on a pipe and sprained his ankle. So I am left with pitchers outside of the DUI guy to play. So I started the DUI guy because I had nobody else. I didn’t want to see a pitcher get injured playing a position they weren’t used to. “In retrospect, I probably should have put a pitcher out there for one inning or one out and took him out. Then there wouldn’t have been a problem. Our AD came down for the game to see how I would handle everything. He called my cell phone during the game, which I didn’t have on, to talk to me about the situation. Holowaty said that in early February, Konin suggested that he assign an assistant coach to help him out with financial matters. “I told him (Konin) that one of my assistant coaches is a volunteer coach who drives 1½ hours one way to help the program. My head assistant runs three big restaurants in Hartford. My other assistant had to get a full time job because he was getting married, his girlfriend was pregnant, and he was buying a house. Then I mentioned that three people were turned down as office workers. One of the allegations by the administration was that Holowaty threw a helmet into the bleachers during a game this season. “Administrators said they did an investigation into this situation, and I was never asked my side of the story. Here is what happened. It was probably 30 degrees, and there was virtually no one in stands. 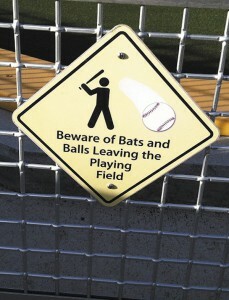 We have a team rule that batters are not allowed to throw helmets in frustration. 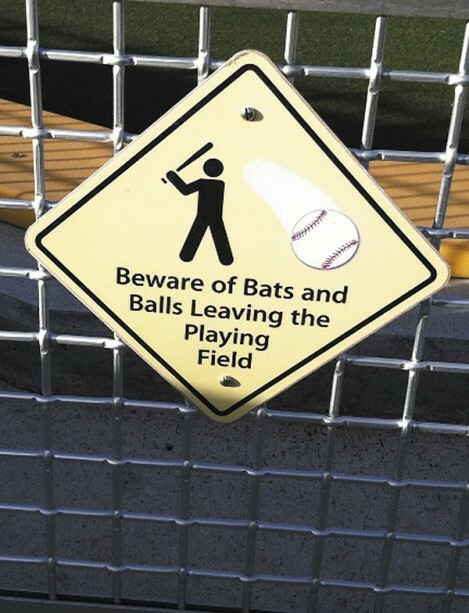 We want batters to walk back to the dugout and put their helmet away properly if they make an out. “One of our players, a senior, has grown up tremendously over the years. But he had a helmet throwing problem every once in a while when he got frustrated. In this situation, he throws the helmet, and he knows the rule. I probably should have just kicked him out of the ball game at that point. But I didn’t. I picked the helmet up and looked in the stands above the dugout. Nobody is there, and I threw the helmet up there in disgust and to show how childish his antics were. Holowaty said that nobody at the school has asked his side of this story until Collegiate Baseball inquired. Holowaty said his AD constantly wrote negative things in his file. “I dropped by the AD’s office one day to reschedule a game, and I headed out to practice shortly after that. The next day, I was talking to kids all day because that is what you do at a university. I didn’t have a chance to look at my e-mail. Holowaty said another allegation brought up against him was being abusive to a ball player during the 2013 season. “This is what transpired. After a ball game I was sitting in the dugout, and nobody was around. I have my hands on my chin. One of our players comes by and tells me that he wants to hit. “I told him that he should go home and rest. Then he repeated that he wanted to hit and then started to mouth off. Then I used several swear words to tell him to go home. Then he takes his ball bucket, throws it on the ground and dislocates his shoulder. He hasn’t played since. “After that, he goes home and tells his mother that I was verbally abusive. Guess what? I have gotten in kid’s faces. I have never had any intention of harming anybody. This is what happened, and nobody at the university has ever asked what transpired with this kid. Nobody. Holowaty said confidential information was released to newspapers from his personnel file. “This is never supposed to happen unless approved by court order. Yet when I was suspended by the university recently, I was not allowed to talk to anybody or go on campus. While I was muzzled, the President of the University (Nunez) was quoted in The Hartford Courant that there had been other allegations through the years about me. But she said, ‘Every time we would get close where termination was possible, a witness would not come forward.’ This is called fishing in the newspaper. Holowaty said that this “fishing” expedition in the media was disgusting. Holowaty said that an open message was addressed to Nunez following this ordeal. “The person who wrote the message said: ‘If cursing in public and throwing a baseball helmet are grounds for termination, then what are the consequences for discussing in public pending unsubstantiated allegations and throwing confidential documents into the public forum? Holowaty said he woke up the morning of April 25 and rolled over to see his beautiful wife Jan with tears streaming from her eyes. “This year has been nearly unbearable,” said Holowaty. “And my wife, who is one heck of a lady, has been abused by these statements by administrators. They are totally out of line, totally illegal, and I just couldn’t put up with it any more. So I had to resign so she wouldn’t suffer any more. “I just wanted to be treated properly and fairly. And this is not that. There is not one time in my entire career that I purposely did anything to hurt someone. My thought all the time was to try and motivate, teach and excite players to be better in whatever they do. And yes, I yelled at kids at times and also got in their faces. Did I hurt them? No damn way. “Hundreds of former players from all over the country have come to my aid during this tough time. Being 68 years old, I was going to retire soon. This just hastened it. I am extremely disappointed at how this university treated me when I was someone who had been loyal and dedicated for 45 years.